A true disciple of our Lord seeks to live in accordance with the Father’s will. As our Lord says, ““Not everyone who says to me, ‘Lord, Lord,’ will enter the kingdom of heaven, but only the one who does the will of my Father who is in heaven.” Mt. 7:21. To this lay person, it sometimes seems that doing “the will of my Father who is in heaven” is much easier for the ordained or consecrated. They have special rules for the conduct of their lives. The Church makes it quite clear what is expected of each. Although the level of intensity differs, the principle is the same — the Church provides a clear structure for those it has ordained or specially consecrated. Pondering this, I picked up Self Abandonment to Divine Providence by Fr. J. P. De Caussade. Fr. Caussade died in 1751 so I expected a rip-roaring, hair-shirt wearing religiosity. I did not find that. Instead, I found an answer to my question. If the work of our sanctification presents, apparently, the most insurmountable difficulties, it is because we do not know how to form a just idea of it. In reality sanctity can be reduced to one single practice, fidelity to the duties appointed by God. Now this fidelity is equally within each one’s power whether in its active practice, or passive exercise. The active practice of fidelity consists in accomplishing the duties which devolve upon us whether imposed by the general laws of God and of the Church, or by the particular state that we may have embraced. Its passive exercise consists in the loving acceptance of all that God sends us at each moment. Book 1, § 3. Using this touchstone, holiness becomes attainable for a lay person. The duties imposed by the “general laws of God and of the Church” and the state of life in which I find myself are reasonable and certainly something that I can bear. Although I do not execute them perfectly, discharging those duties is certainly within my current capability or within my reasonable ability to attain. Active fidelity is within reach. Passive fidelity is, too. I can consciously monitor my emotions and then challenge and replace those that are not conducive to the ” loving acceptance of all that God sends us at each moment.” Passive fidelity, I think, will take more practice, but it, too, is within reach. Are either of these practices of sanctity above our strength? Certainly not the active fidelity, since the duties it imposes cease to be duties when we have no longer the power to fulfil them. If the state of your health does not permit you to go to Mass you are not obliged to go. The same rule holds good for all the precepts laid down; that is to say for all those which prescribe certain duties. Only those which forbid things evil in themselves are absolute, because it is never allowable to commit sin. Can there, then, be anything more reasonable? What excuse can be made? Yet this is all that God requires of the soul for the work of its sanctification. Id. Sanctification requires only a good faith, reasonable attempt to discharge the duties of our state in life and the avoidance of intrinsically evil acts. We must be open to the promptings of the Holy Spirit and to the workings of grace so that if God wants us to achieve a particular perfection, we will cooperate enthusiastically with the grace He provides. The chief example of such holiness is, of course, the Blessed Mother and St. Joseph, both of whom were laypersons. We know that they simply lived the demands of their states in life. They fulfilled their religious duties. They lived a daily, hidden life of unsurpassed (human) holiness. They did not, for example, angle for the prime spot in Herod’s Court. After his marriage, St. Joseph did nothing notable except look for the lost Christ along with the Blessed Mother. After that, he disappears from Scripture. There are remarkably few extraordinary characteristics in the outward events of the life of the most holy Virgin, at least there are none recorded in holy Scripture. Her exterior life is represented as very ordinary and simple. She did and suffered the same things that anyone in a similar state of life might do or suffer. She goes to visit her cousin Elizabeth as her other relatives did. She took shelter in a stable in consequence of her poverty. She returned to Nazareth from whence she had been driven by the persecution of Herod, and lived there with Jesus and Joseph, supporting themselves by the work of their hands. It was in this way that the holy family gained their daily bread. But what a divine nourishment Mary and Joseph received from this daily bread for the strengthening of their faith! It is like a sacrament to sanctify all their moments. What treasures of grace lie concealed in these moments filled, apparently, by the most ordinary events. That which is visible might happen to anyone, but the invisible, discerned by faith, is no less than God operating very great things. O Bread of Angels! heavenly manna! pearl of the Gospel! Sacrament of the present moment! thou givest God under as lowy a form as the manger, the hay, or the straw. Book 1, § 2. Little can be added. Wouldn’t we do well to live like this, even for a moment? Properly approached, the ordinary nourishes and strengthens us. Were Mary’s great gifts exercised through miracles, publicity, rumors (who is this special woman? ), ambition, or anything other than the daily fulfillment of the duties of her station in life? So far as we know, she stepped outside of them only once — at the behest of the Angel Gabriel and with special transforming grace bringing her soul to complete perfection. While I may not be able to offer an infinity of little hours, neither did St. Joseph nor did the Blessed Mother. They lived their lives simply, full of grace, and thereby showed lay persons — especially laypersons — that holiness is for us as well. Are You There When You Need To Be? 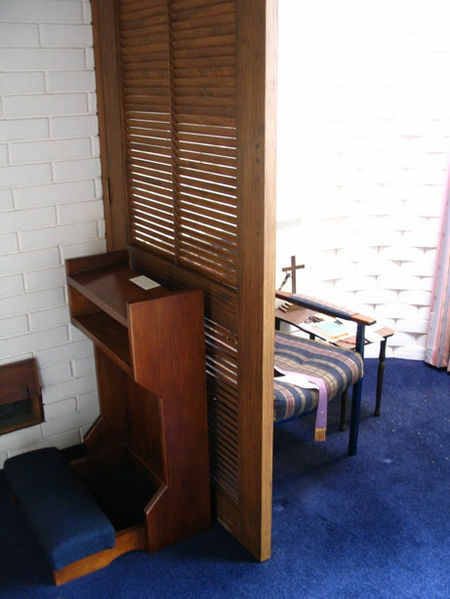 Stories abound about how often some notably holy people went to confession. Bl. John Paul II is said to have gone to confession every two weeks. Bl. Mother Teresa is said to have gone to confession every day. Does that mean we of lesser holiness ought to be going at least that often? If not, how often? + We should always go to confession when we are aware of having committed a mortal sin or a serious venial sin. We should go as soon as possible. Don’t hesitate to make an appointment with a priest if need be. + We may go to confession for regular venial sins, but should remember that the Church offers numerous ways to obtain forgiveness for those sins without full sacramental confession, such as the worthy reception of the Holy Eucharist. + We should be aware that any religious practice can become rote. Going to confession for the sake of going to confession can becomes rote and is not a good practice. We should go to confession when we are aware of sin, are truly sorry, and want God’s forgiveness. + Don’t be worried or discouraged if you seem to confess the same sins over and over again. Just keep working on overcoming them with God’s grace. 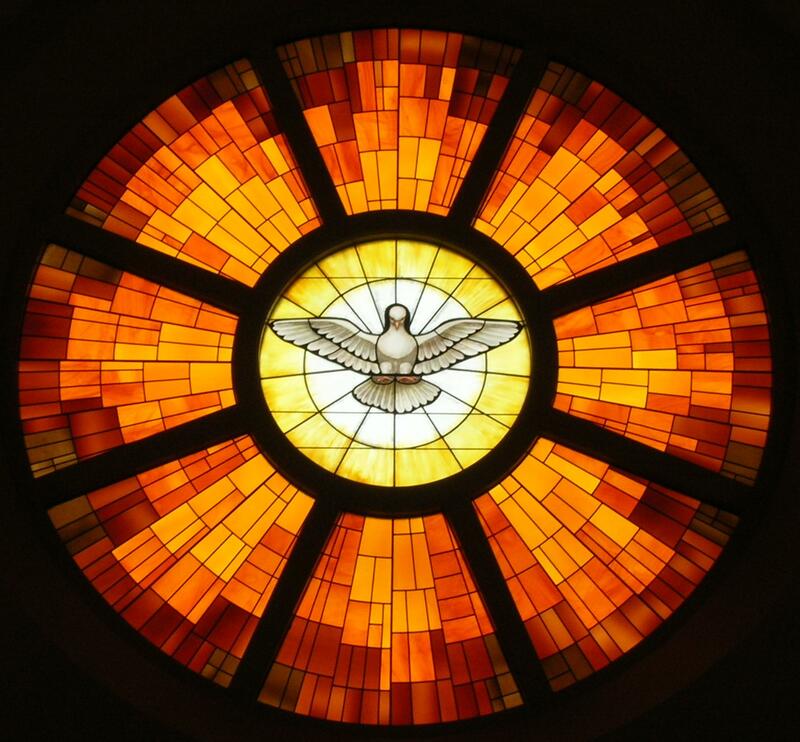 + We should pray for the Holy Spirit to enlighten our consciences so that we can avoid sin in the first place, know when we need to go to confession, and make a good confession when we get there. Bl. John Paul II concluded his homily at the Solemn High Mass at World Youth Day 2002 with this prayer. It expresses so well what I think most parents want for their children, especially as they mature and begin to face new challenges and questions about their faith. O Lord Jesus Christ, keep these young people in your love. Let them hear your voice and believe what you say, for you alone have the words of life. Teach them how to profess their faith, bestow their love, and impart their hope to others. Make them convincing witnesses to your Gospel in a world so much in need of your saving grace.